Fiercely independent Daisy Chance has a dream-and it doesn't involve marriage or babies (or being under any man's thumb). Raised in poverty, she has a passion-and a talent-for making beautiful clothes. Daisy aims to become the finest dressmaker in London. 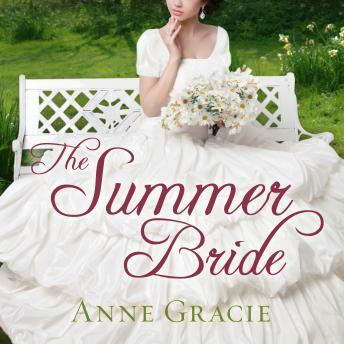 Dashing Irishman Patrick Flynn is wealthy and ambitious, and has entered society to find an aristocratic bride. Instead, he finds himself growing increasingly attracted to the headstrong, clever, and outspoken Daisy. She's wrong in every way-except the way she sets his heart racing. However, when Flynn proposes marriage, Daisy refuses. She won't give up her hard-won independence. Besides, she doesn't want to join the fine ladies of society-she wants to dress them. She might, however, consider becoming Flynn's secret mistress . . . But Flynn wants a wife, not a mistress, and when Flynn sets his heart on something, nothing can stand in his way . . .